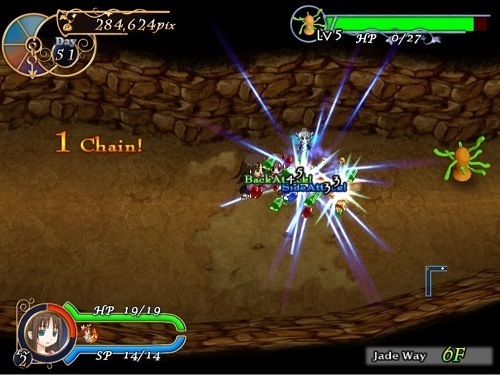 The game was developed by EasyGameStation and original released in Japan with a translated version making its way to Steam in September 2010. 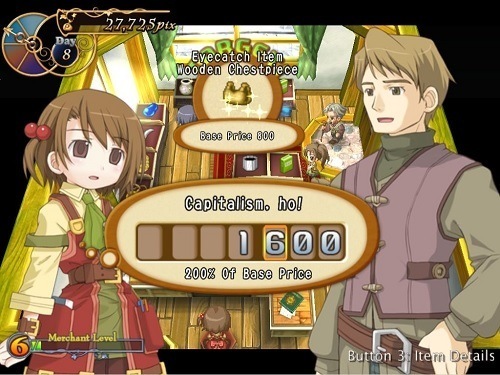 The game takes place in a fantasy realm with gameplay mixing haggling, shop ownership and dungeon crawling. Players are able to focus on the aspects that they are most interested in without damaging their potential for advancing and finishing the game. In the game you will play as Recette Lemongrass who has to take over her father’s shop after he mysteriously disappears. Unfortunately this also means taking over his debt requiring the player to revive the shop front to pay for it. Gameplay takes place on a daily cycle which passes based on the activities that the player undertakes during the day. After every week within the game you’ll have to pay back an amount of Pix (the game currency) to meet your debt repayments. These activities include opening the store, adventuring for items or visiting the other locations in the town (generally to purchase equipment for adventuring). Depending on your preferred playstyle players will either spend most of their time haggling in the store or going on dungeon adventures. Players must place items for sale around their store with locations such as the window helping to attract customers inside. Once shoppers enter your store they will either want to purchase something from your collection or want to sell you an item. This is where the haggling begins, Recettear presents a number of different shopper personalities which are important to learn in order to maximise profit. If you don’t want to sit in your shop all day then you can hire someone from the local guild and take them out adventuring where you will find plenty of items to take back and sell. As the game progresses you can access to a number of adventurers and a large selection of locations to explore from dungeons to castles and forest areas. Adventure through a wide variety of dungeons for loot to sell. Haggle with buyers and sellers to get the most profit. Decorate your store to entice more visitors inside. Multiple game modes add even more gameplay.